al fresco dining in Paris. With fears of reiterating what has already been said so many times- I really can attest to the glory that is the city of Paris. Taking the urban planning route, I hope to give readers a taste of what it feels to travel through the city of Lights while exploring what's happening on the ground. Curious as I am, I decided to dig deeper to learn more about the labor strikes + what was happening on the ground that led 1,000s+ of workers to exit their jobs. Current French President Macron was elected on a moderate platform that aimed to focus efforts on France's lagging economy. Labor unions were in opposition to Macron since his campaign focused on weakening union laws to enforce a significant move towards a more free-market agenda. Indeed, the proposed changes to the rail labor unions would include limits to wage increases, and make it easier to hire and fire while removing long-standing French customs of "jobs-for life-protections". Macron's proposed plans come as yet another blow to the labor unions who have seen a decline in membership and are struggling to hold the public's attention during this crucial time in their industry. What are banlieues, and how does President Macron's plan help or harm these immigrant suburbs? Just one hour from Paris, immigrant clusters have formed in various suburbs that are now plagued with crime and disinvestment. Looking for cheaper housing options outside of one of the most expensive cities in the world, banlieues have become a refuge for new French migrants. However, increasingly high unemployment and the constant threats of radical Islamic groups- the banlieues are finally receiving major media attention and have reached Macron's adminstration as the President aims to roll out his economic plan. President Macron faces a daunting task of addressing massive inequalities touching unemployment, housing, health care, and transportation. "It's true that Macron's natural inclination is towards the innovators and entrepreneurs as a real source of economic dynamism, but it will be very important for him to show he also cares about tough neighborhoods, and to acknowledge innovation is also possible there." French banlieues have not always been equated with despair and violence. In the 1970s, renowned architects crafted idealistic urban planning projects to house the country's working class — which morphed into Portuguese and then North- and sub-Saharan African immigrants. Thinking of banlieus, I couldn't help but draw a parallel to many of Massachusetts' Gateway Cities like Lawrence and Brockton which have seem similar disinvestment and are now thriving with new Americans. Much of Macron's legacy lays in the success of his economic plan, but as we see with his move to weaken labor unions, it is unclear how much attention his administration will pay to these immigrant clusters striving for a better future. We arrived in Paris just before the start of the summer season, so this meant al fresco dining was appropriate, and made for a great way to view the city. Another favorite while visiting the many Paris cafes was the Croque Madame- a breakfast/brunch option widely available everywhere. The meal includes a grilled cheese sandwich- but a much better Parisian version, usually served with a sunny side-up egg accompanied wih fries + salad. Of course- don't forget the rosé! Due to the high quality + great prices of the outdoor cafes, I am thrilled to say we were able to enjoy 1 or 2 bottles of wine with EVERY MEAL. Yes- Every meal. So, best believe we was living our best life!! If you're in for the Michelin-starred treats, check out the area around Champs-Élysées. Also remember, many Michelin-starred restaurants offer great lunch rates! During one of my strolls around the city, I encountered the opening of a photography showcase in one of the city's many fashion boutiques. I have to say I was impressed by the hospitality of many Parisians. I figured I'd be met with snarls and stares because of my appalling take at French but I was met mostly with the same curiosity. The experience really allowed me to have an open mind + to continue feeding my desire for knowledge about the world. Still, a bit of French goes a long way- so if you can get the basics down it will help your time in Paris, and win you a few points with the locals! 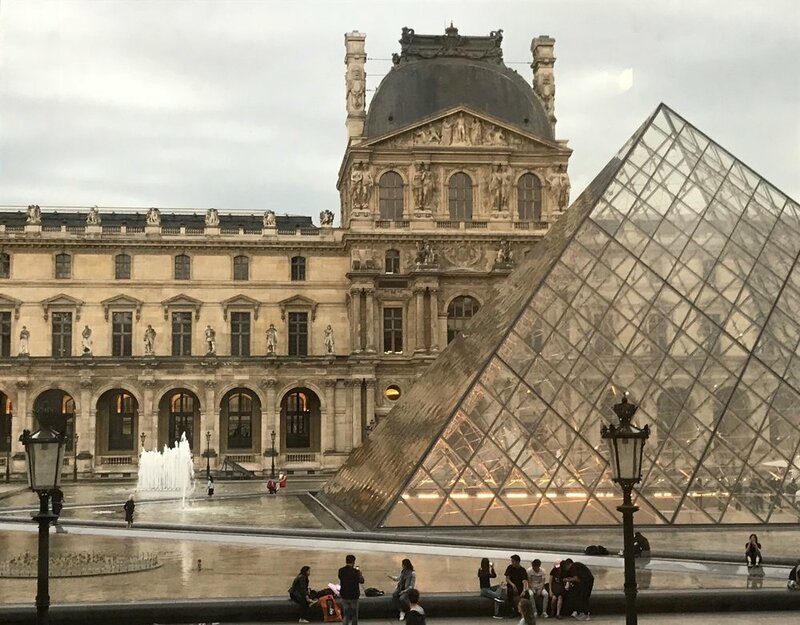 Now, you can't come to Paris and skip out on the museums. Indeed, it was quite a feat figuring out which museums we wanted to prioritize. The Louvre was a given, and we spent a few hours getting lost in its maze. The quiet atmosphere of the museum allows you to take in the art while not feeling rushed (ahem- no shade to the Louvre, but it DEFF doesn't have this luxury). This may change depending on the season you visit so do keep this in mind. Known for inspiring art's Cubism theory, the museum portrays the many styles and techniques that led to Picasso's transformation of the art world. Let's continue to find inspiration wherever we go. 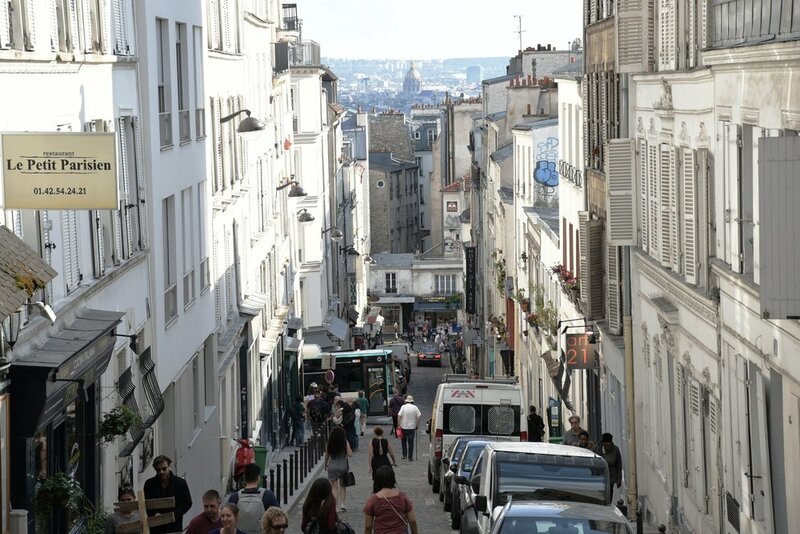 Whether its moving outside of our comfort zone, trying a new skill, or visiting a gem like the city of Paris. thank you for capturing so many beautiful photos from our trip. You a real one!